GW Group advances business activities through manufacturing products as an important member in the international society. In 2017, our group made a great change that the older generation handed the management positions to the next generation to start the second founding period. Since its establishment, we have been involved in the manufacture of rubber products, and our business has successfully continued thanks to our customers in various industries who have been using our products up to the present. Concerning the word, "Continuation", which is our management philosophy, we are able to achieve it both by our efforts and customers’ support. We will continuously pursue our position as only one company in the international society with gratitude towards our customers and suppliers. Over 35 years, we have been establishing the foundation of manufacturing products with good quality. In order to pass the baton of the history to the next generation firmly and smoothly, we will strive to respond to needs of all our customers. We will greatly appreciate your continued support. Gut Ware Company Co., Ltd.
Company founded as Mouri Giken in Amagasaki City, Hyogo Prefecture. Company was relocated to Yao City, Osaka Pref., and founded Riken Industrial Co., Ltd. with capital of 10 million yen. Head office and the factory were relocated to Yamada, Sakai City, Osaka Pref. Company name was changed into Gut Ware Company. 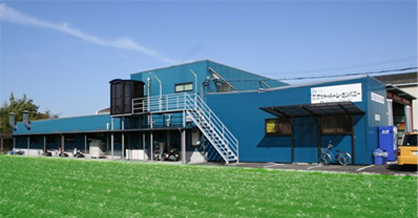 Hiraoka factory was opened in Hiraoka-cho, Sakai city, Osaka Pref., and injection molding was introduced. Vacuum press molding was introduced. 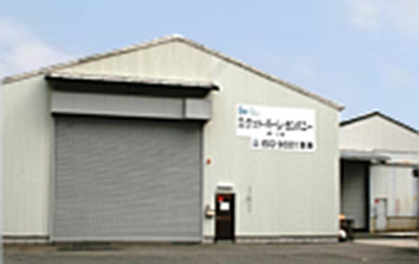 Head office and logistics warehouse were relocated to Kodai, Sakai city, Osaka Pref. and the former Head office and the factory were renamed First factory. Resin molding machine was introduced. Environmental standard, ”Eco Stage” was acquired. Shanghai factory was newly opened in LU HUI WEST,PU JIANG TOWN,　MING　HANG DISTRICT,SHANGAI, CHINA. Joint venture was established in Thailand. Company was registered as a good supporting company for disabled people by Osaka Prefecture.